Give individuals and teams the power to raise money in support of your organization. WordPress is a free and open-source CMS that powers 28% of the Internet. 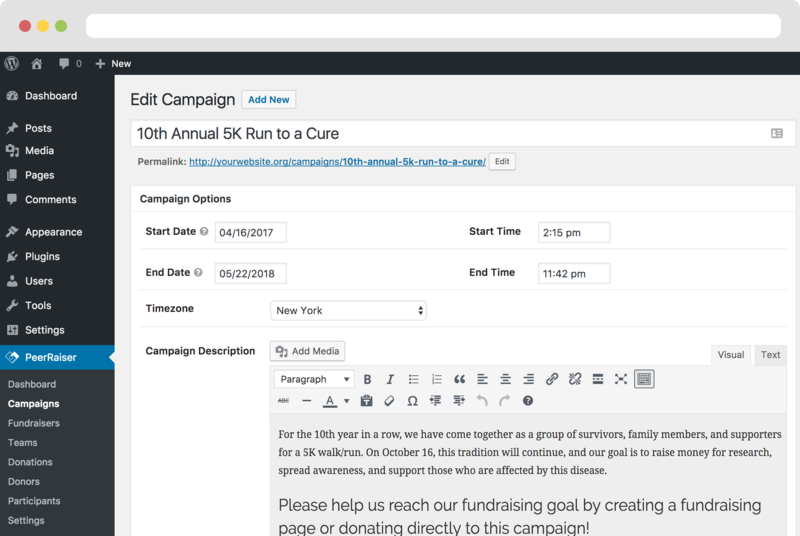 PeerRaiser offers a plugin for WordPress that allows you to create fundraising campaigns on your own website. You have full control over the design and functionality, unlike other platforms. Why commit to expensive, complicated third party platforms when you can use your existing website and have full control? With PeerRaiser, you can get started in minutes without paying setup or monthly fees!